A local attraction - Universitatskirche, that is situated beside this restaurant, is a part of the unique culture of the city. 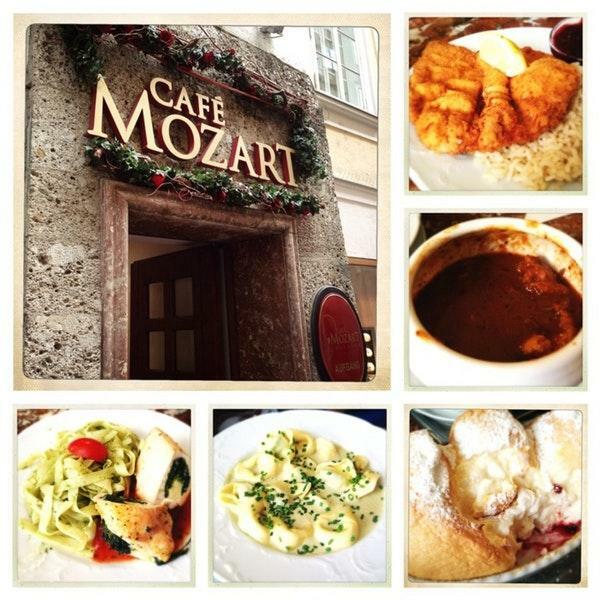 Enjoy Austrian cuisine at Café Mozart. The recipe for success of this place is its perfectly cooked bacon, pork medallions and spaetzle. Tasty Salzburger Nockerl, apple strudels and soufflés can be what you need. It's time to degustate delicious lager, mulled wine or rum. You will appreciate good cappuccino, hot chocolate or tea at this spot. This restaurant is famous for its great service and friendly staff, that is always ready to help you. Prices are found democratic here. 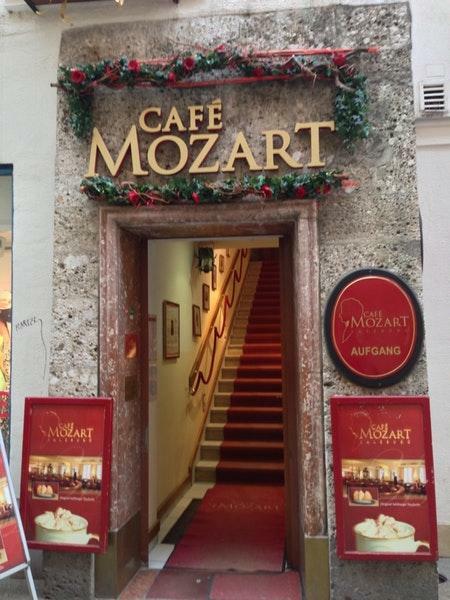 At Café Mozart, visitors can enjoy the pleasant atmosphere and fancy decor. TripAdvisor users rated this place and it received 4. Total tourist trap. Which we knew, but had limited options available at the time.If you have time to find somewhere else, then I suggest you do. Food - not goodService - very average. We're pretty easy going travellers and don't expect much, but this was a real let down. The decor was somewhat novelty, but that's all it has going for it really.